Jump to the recipe below for “Cogs Biscuits.” Interested in making other early modern foods? Explore our previous Thanksgiving recipes for pumpkin pie and sweet potato pudding. The meaning of “biscuit” is divisive. For most Americans, a biscuit is a flaky, buttery bread that forms an essential part of Thanksgiving dinner; for the British, the same word refers to a hard, sweet cookie best enjoyed with tea. Back in the day, for mariners, a biscuit was a rock-solid block of bread that kept them alive; for Shakespeare, it was a biting insult (Jacques in As You Like It: “And in his brain, which is as dry as the remainder biscuit.”). 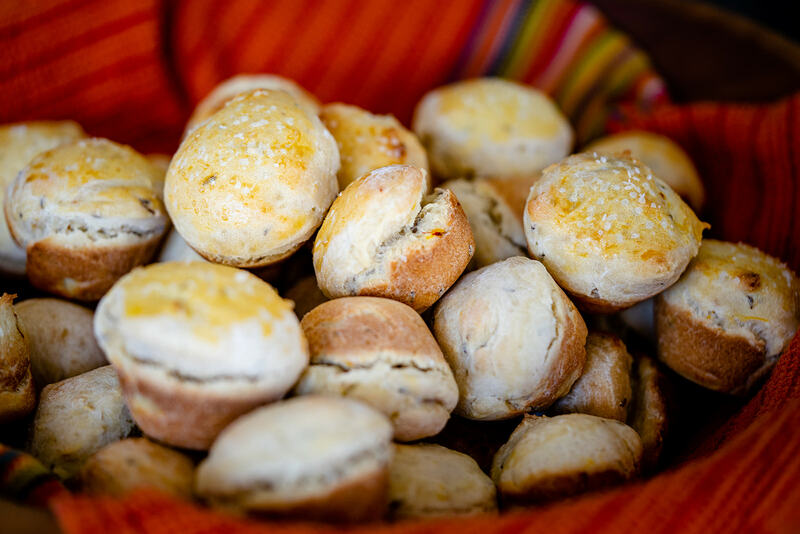 Biscuits come in many flavors: sweet, spiced, cheesy, salty, bland. This year for Thanksgiving, we’ve found something else; something that’s fluffy and sweet and savory and firm and spiced all at the same time, a kind of ur-biscuit. Around 1672, Constance Hall recorded in her recipe book a dish called Cogs Biskett, a dish she presumably cooked for her family. 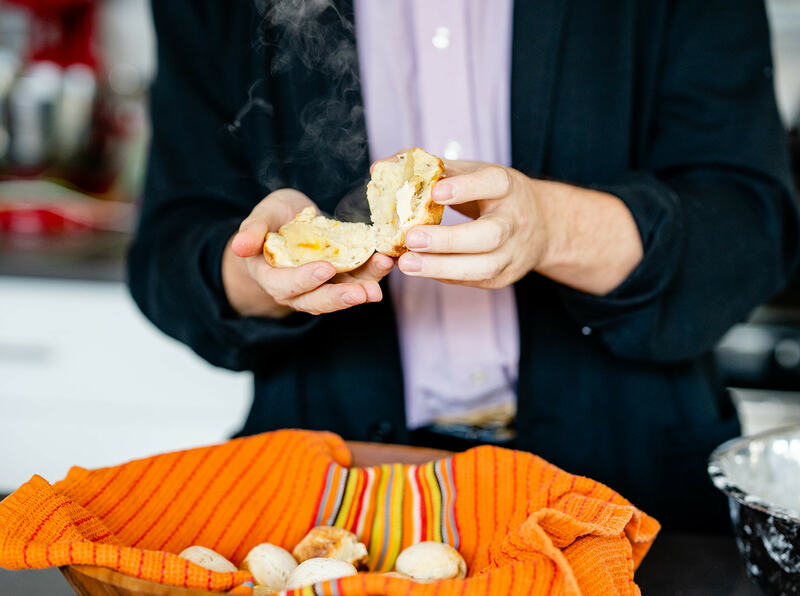 Her book is now part of the Folger collection’s strong holding of handwritten recipe books, and this biscuit recipe deserves a revival as the best bread to accompany your turkey this year. What is the “cog” in Cogs Biscuits? Frankly, we don’t know. The recipe is something of an oddity, an isolated example in the Folger’s extensive recipe collection that bears little resemblance to the other biscuit recipes we’ve found. The word “cog” might refer to a bucket used in milking a cow, or to a measure of alcohol (equivalent to a dram), or to a kind of ship. 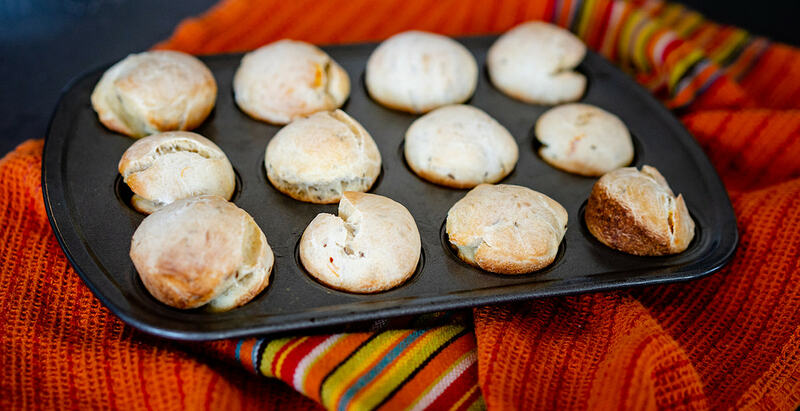 But our best guess is that “cog” is Scottish dialect for a small wooden drinking cup, in which the biscuits could have been baked, technically making them “cupcakes.” Essentially, these might have been early modern savory cupcakes! By the 1670s, saffron was imported in sufficient quantities to become available to home kitchens and was even being grown in England itself, while the carrotlike caraway plant was one of the oldest and most widespread herbs in Europe. The use of beer for flavor and leavening is a distinctly northern European twist on a bread that otherwise could come from well south of the Alps. So here we have a biscuit cooked in a Scottish cup, with Mediterranean saffron, German caraway, and British ale as its main flavors, well-suited to a traditional holiday meal. Making the biscuits. Select an image to see it more closely. If you cannot locate beer with yeast in the bottle, you can try a filtered beer, but you might want to add a bit of yeast. See our notes below. So how did the Cogs Biscuits taste? They were better than we expected, and there was much happy munching of fresh biscuits around the kitchen. The consensus was that Cogs Biscuits would pair very well with gravy and other Thanksgiving fare and are ideal for sopping up liquid. The biscuits are fairly dense, with a thin crust, and are only lightly sweet; a comparison was made to pretzels. There was very little taste of beer, but the two spices stand out. The caraway adds a savory aroma and the saffron was subtle at first, but builds over time. Note, however, that the biscuits are definitely better fresh out of the oven. They become a bit too firm if they sit overnight. To find out more about Constance Hall’s recipe book, check out blog posts by Marissa Nicosia, who cooked Hall’s recipe for syllabub, and Jessie Foreman, who made carrot pudding. You can also read the original handwritten recipe for Cogs Biscuits in the Folger image database and explore the other pages of the recipe book there as well–it’s very legible. For more information on the recipe book (Folger shelf mark V.a.20), review its Hamnet catalog entry or read a detailed and fascinating description of the recipe book in the Manuscript Cookbooks Survey. This holiday recipe post was produced in association with the Folger Institute and the Mellon-funded initiative in collaborative research, Before ‘Farm to Table’: Early Modern Foodways and Cultures. Special thanks to Amanda Herbert and Heather Wolfe for their help with this post. All photography by Brittany Diliberto. Jack Bouchard is a Postdoctoral Research Fellow with the Before ‘Farm to Table’: Early Modern Foodways and Culture project, a Mellon-funded research initiative at the Folger Shakespeare Library. He holds a PhD from the University of Pittsburgh and is a historian of the sixteenth century north Atlantic fisheries. Elisa Tersigni is the Digital Research Fellow for the Before 'Farm to Table': Early Modern Foodways and Culture project, a Mellon-funded initiative at the Folger Shakespeare Library. She recently completed her PhD in English and Book History & Print Culture at the University of Toronto, where she specialized in women's writing of the English Reformation. The title of this recipe sent me to the Oxford English Dictionary, where I discovered that “cog” once meant ship. This suggests to me that these are ship’s biscuits, which at the time of this manuscript were generally formed as free-form round rolls and then, after baking, split in half horizontally and returned to a very slow oven until crisp and dry throughout, so as to be long keeping. The “ale” called for in the recipe is actually ale yeast, a byproduct of the brewing process that was the usual 17th century English leaven in bread and cake. This explains why the recipe instructs to let the dough rise.